View Adding Explicit Aspect Ratios to CSS on Notist. 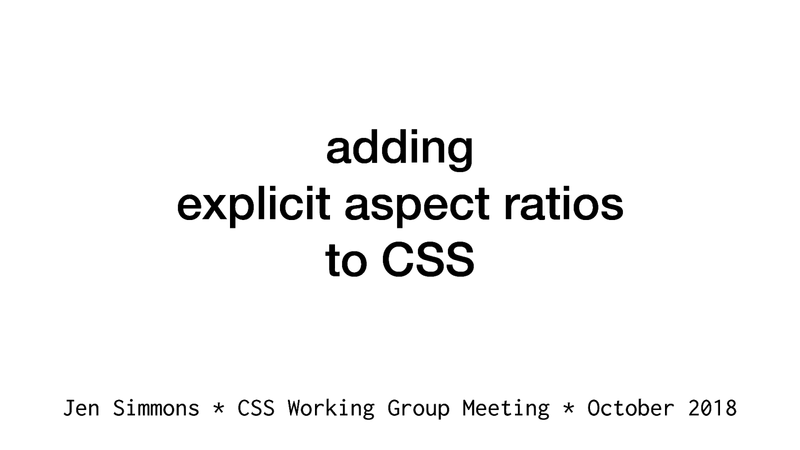 Presented a first draft of a proposal for Aspect Ratio property in CSS, to the CSS Working Group face-to-face meeting at TPAC in Lyon, October 2018. See this thread for many links to other discussions elsewhere.